DMV.com was created to help simplify your life by providing you with all the vehicle related information and Maryland DMV services you may need, in one place. Quickly find information and services regarding driving records, vehicle registration, drivers license renewal, license plate renewal, getting a learners permit, and finding a Maryland Department of Motor Vehicles approved traffic school. To obtain drivers license services in Maryland, drivers must meet MVA guidelines. Learn about the drivers license application in MD. Request your Maryland driving record from home to avoid the line at the DMV. Obtaining a DMV driving record is easy when you order online. Find affordable car insurance in MD through our online car insurance center. The MVA requires auto insurance for all registered vehicles. Completing Maryland traffic school can permit drivers to earn insurance discounts. Discover additional driver improvement course benefits. Taking a Maryland DMV practice test can help you pass the drivers license test. Complete a DMV practice exam online to test your knowledge. 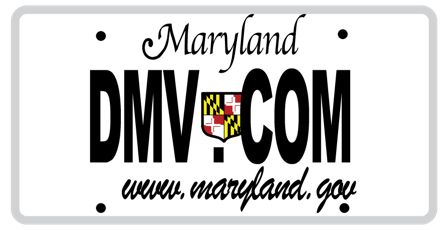 MD drivers must get car registration documents from the MVA. Get MD car registration information to help with registration renewal and more. Discover MVA rules for drivers education, and learn how to register for drivers ed today. Maryland drivers ed is required for new drivers. A Maryland bill of sale records a transfer in car ownership. Learn how to get an MD bill of sale form at the DMV when you buy or sell a car. Learn how to pay a ticket online in Maryland to avoid consequences. Failing to pay traffic tickets in MD results in penalties from the DMV. DUI and DWI in MD are serious offenses with mandatory MVA penalties. Find helpful DWI and DUI information, including Maryland DUI laws. Before you purchase a car in MD, learn about online car buying. Discover how buying a car online makes completing DMV registration easier. You can obtain DMV services at a Maryland DMV office near you. Find MD MVA contact information to help you schedule an appointment. With DMV.com you’ll skip all MVA’s bureaucracy and get the most up-to-date info about drivers license, vehicle registration, license plate, emissions and any other motor vehicle issues online. You’ve visited the best online guide for coping with Maryland DMV. Here you’ll find all the necessary info related to motor vehicles, from informative articles to how-to guides as well as forms you need to fill in and much more. DMV.com saves you both time and money by providing the most accurate and up-to-date database when it comes to dealing with issues like getting your drivers license, renewing your vehicle registration and all other issues that may occur around owning a vehicle. We are a privately owned site so our main goal is to help you get the right info without giving you much hassle and letting you skip all bureaucratic nonsense. Our web is user-friendly, meaning you’ll get what you are looking for only by using the Search bar at the top of the page or using the navigation sections. We’re not affiliated with any government agency, so we’re here to get you on the road without causing you any inconvenience and above all without wasting your precious time. Please, help us serve you even better by giving your constructive comments and suggestions. Also you can join us on Facebook and share your experience with your friends.